← (526)…The Art of bowling. England won the M K Patuadi Series 4-1 but were made to work very hard to win the series.The margin of win was not small but they were pushed to the wall to earn it. I was very interested in the fielding display in this series, especially slip catching and wicketkeepers’ skills. There was an opportunity for a wicket every 44 balls but it fell every 51 balls. It is impossible for fielders to concentrate the whole time, especially if he/she is positioned in one place for entire day.Hence would it be feasible for teams to rotate their slip fielders in last session ? viz have them in different zone where catching is less. Fielding in test cricket can be very static and mentally exhausting. Especially if someone is positioned in one place for entire day. Therefore it would be feasible for teams to rotate their fielders(especially slip fielder) and place them where catching is less expected. According to my data, last session of a test match(of any day) has the maximum fielding errors, especially at slips where catches are dropped regularly. Apart from fielding errors one also noticed too many batting errors in last session which leads to more runs and wickets (compare to first 2 sessions). Interestingly most of the times the second new ball is taken in last session. Below tables are fielding stats. 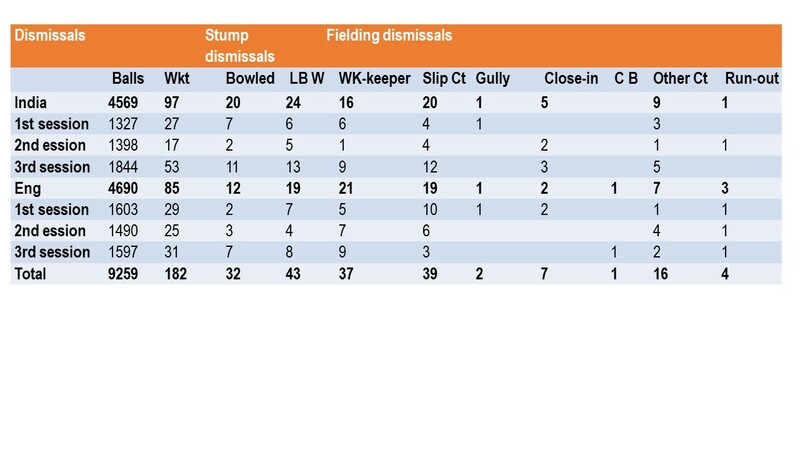 Table 1 – Session wise various dismissals for both teams in the series. Interestingly teams lost more wickets in last session of a test match. 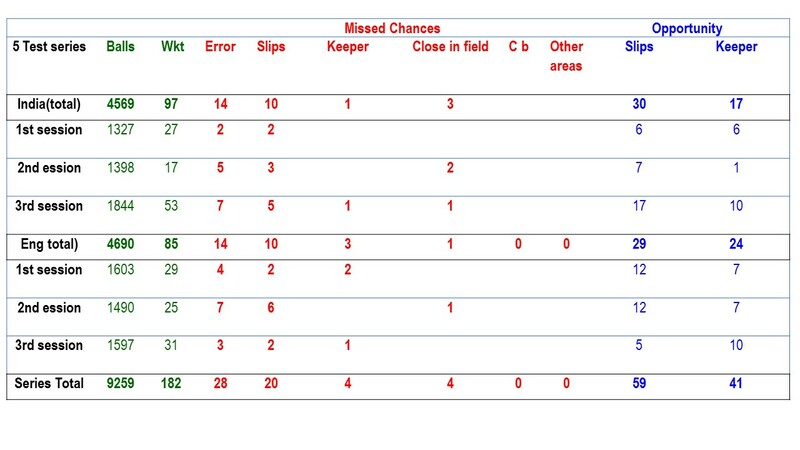 Table 2 – Session wise missed chances in this series. The last session has regular fielding errors occurred!. Here is a brief analysis of India in England. 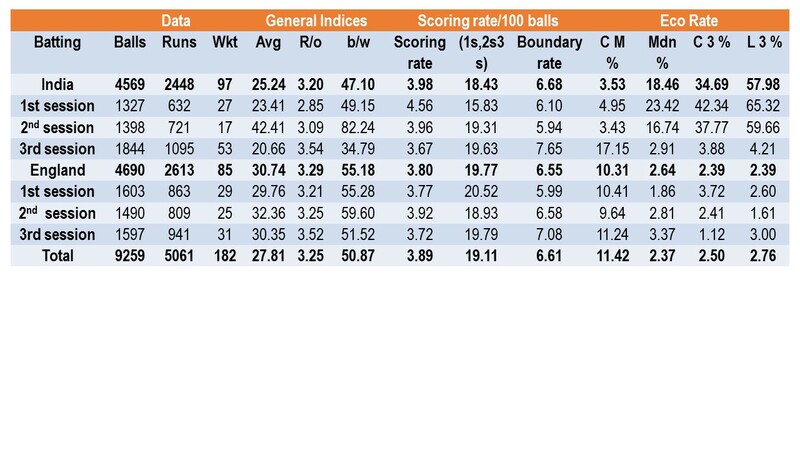 Table 4 – Session wise batting performance for both teams. From above table it is apparent both teams had similar batting pattern. 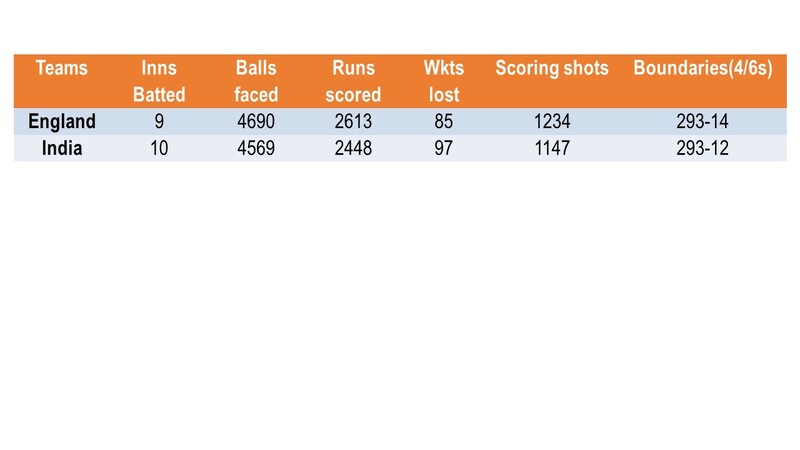 They both were going at 3.20/over, with every 4 balls one scoring shot played. In terms of Eco rate there were marginal difference, with English bowlers having slightly higher % of maidens and consecutive maidens. However it was the 3rd session where everything was high, viz run rate, boundary rate, and also wickets fell regularly along with consistent fielding errors.